Job seekers tend to focus more on technical skills required for a job, paying less attention to the soft skills that form the basic foundation for a successful career. Soft skills are important too! Having the necessary training, knowledge or expertise is not enough, you need to complement those technical skills with interpersonal skills and good character traits if you must go far on the career rung. 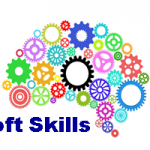 Let’s walk you through 7 basic soft skills you much develop to be a better fit for any role. No matter the job you perform, you must learn to interact effectively with co-workers, clients or vendors in the course of discharging your duties. Knowing the most appropriate way to communicate information, your feelings or opinion in the workplace makes it easy to avoid conflict and foster unity. You will not always have the luxury of time to sleep on a task or carry it out at your own pace. Sometimes, given the urgency of a situation at hand, you will be required to think creatively on your toes and provide smart solutions. Train yourself to identify problems easily and process it fast enough to be able to make valuable inputs. This is a soft skill that increases your value to the company you work with. Being able to work as a functional member of a team is a topmost soft skill needed to succeed at any job. This is a people skill that requires cooperation as you cannot work in isolation. You must train yourself to adapt easily to changes in rules, methods of doing things, technology or the work environment. Flexibility demonstrates to your employer that you can withstand anything thrown at you and can be relied upon. This entails being able to provide unique solutions or alternative to challenges that arise in the workplace. This drives efficiency and productivity. No employer wants to hear you say ‘I don’t know how to….’ They want to know they can rely on your logical thinking ability to come up with creative insights that can improve the company in some way. Ethics are personal attributes that affect how you carry out your duties and shows your employer that you take your job seriously. They include; being punctual, accountability, integrity, confidentiality, honesty, time management, acting professional, etc. This is the ability to inspire others, persuade, negotiate, motivate, collaborate, facilitate or even sell ideas or products. Although very important in sales roles, it also cuts across every role as long as your work involves daily interaction with other people.